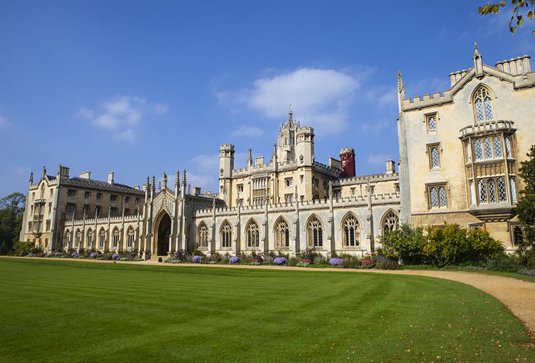 Two of Europe’s leading research universities have today (May 29) announced the first step towards plans for a unique ‘strategic partnership’ – underlining the vital and ongoing relationship between British universities and their peer institutions across the EU in the post-Brexit landscape. The University of Cambridge and the Ludwig-Maximilians-Universität (LMU) München put pen to paper on a memorandum of understanding that will see the two institutions forge ever-closer links in education and research across a broad range of disciplines in the Sciences, Humanities and Medicine. 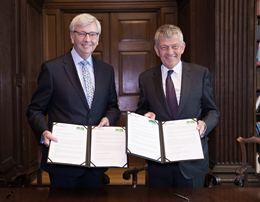 Bernd Huber (on the right), President of LMU, and Stephen Toope, Cambridge Vice-Chancellor, signed the memorandum of understanding in Cambridge today.